There are 3 different canoe routes available, depending on how long you and your group want to spend on the water. 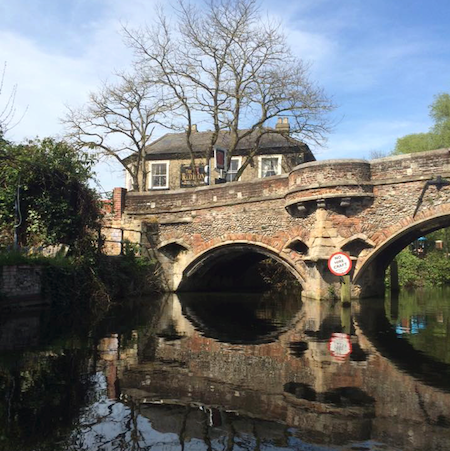 All of our trips start from the Red Lion pub next to historic Bishop Bridge, allowing you to paddle through Norwich and out into the countryside via a handful of idyllic riverside pubs. One way trips. Routes 2 and 3 are both one-way trips. 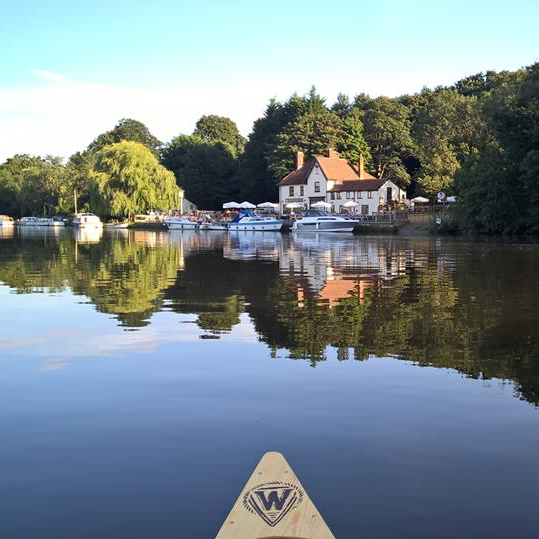 If you don't want to spend time paddling back the way you came, you can enjoy a one-way trip, finishing in the countryside and allowing you to paddle as many of our amazing waterways as possible... We will pick up the canoes whilst you enjoy a rest at your final stop. 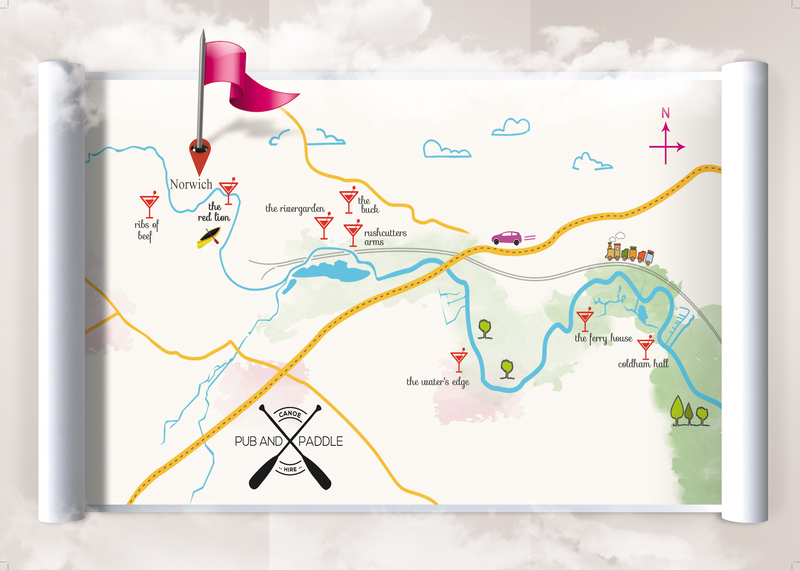 You will then make your own way back to Norwich which is only a short taxi drive away! * Please note - pre-booking is required. 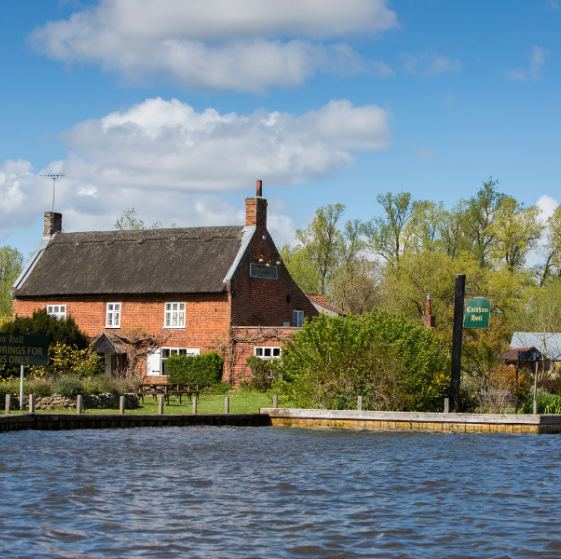 Paddle out to Thorpe St Andrew which has three pubs to chose from. 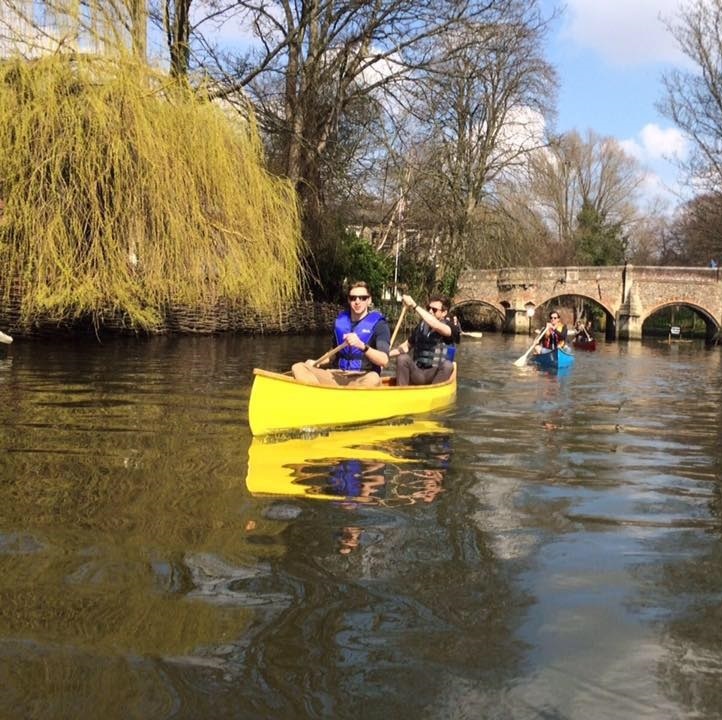 Then paddle back into Norwich finishing at the Red Lion. Click here to Book your Canoe Rental. Paddle out to Bramerton via Thorpe St Andrew. One-way trip finishing at the Water's Edge pub. Paddle out to Surlingham via Thorpe St Andrew and Bramerton. One-way trip finishing at Coldham Hall. Evening paddle into Norwich city centre. Explore the city and view its beautiful history from the river.